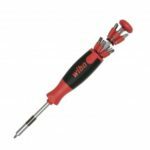 This 3 in 1 dual head screwdrivers set is the necessary tool for various types of electrical work or other repair work. 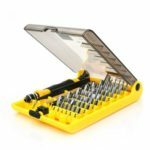 No matter if you are performing eyeglasses and watch repairs or just daily repairs, in general this set is a must have for any handyman or electricians tool box. 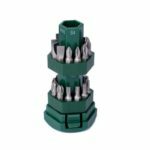 Double-head bits are made of chrome vanadium steel with overall precision machining and through quenching, making the bits harder with better torsion. 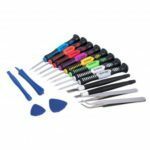 Creative pen shape with hook design, easy to put in your pocket and fits in your hands, small and practical, suitable for a variety of operational uses. Four models bits are available to use in wider scope of application. 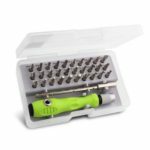 Ideal for daily maintenance, toy assembly, battery compartments, eye glasses, electronics and more.